With Microsoft preparing to release their latest platform, Windows 8 for both tablets and PCs, there might have been a plan with Apple, to deal with this situation. Apple has been ruling the tablet market for a long time and has been successful in retaining the complete majority in market share and even is making a good business with their MacBooks. Apple knows the fact that Windows will not be offering the new platform for something very less, as they still sell the Windows 7 Home premium platform for PC at about $50 to the OEMs. Even the upgrade copy of Windows 7 Home Premium costs around $119.99, which is the recommended retail price. Starting with the Mac OS X 10.6 ‘Snow Leopard’, Apple decided to offer the upgrades for $29, for a single user and $49 for 5 Mac OS users, that is a family pack. This deal has already resulted in increasing the upgrade sales to double the value then it was with the Snow Leopard OS X 10.5, at the time of its release. Now they have again announced something like that, for the OS X 10.8 Mountain Lion platform. They have decided to offer the upgrade for $19.99 for a single user. This is really interesting to know about the change as earlier Apple used to charge the users of their iPods, $9.99 for iPhone OS updates. This might pressurize Microsoft to think about the price factor too, as Apple is trying to attract more and more customers towards them. 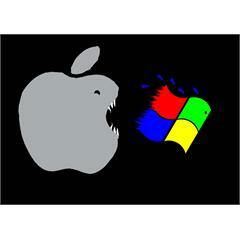 Although Windows have a lot of fans following this cheap deal might also reduce their fans. As Apple has both hardware and OS of their own, so they sell their product as a single product and can afford to reduce the price of the software upgrades and still have a 30 percent profit margin, but that is not same for Microsoft. So, all these might also lead in reduction of Windows price in future, but we are only expecting so, in the meantime Windows might have some better options to offer too.